There have been over 30 adaptations of Shakespeare’s Macbeth on film and television, spanning back to 1908. Only Romeo and Juliet and Hamlet have been adapted more often (with Hamlet being the big winner with over 50 various takes on the play. There are even more if we look at films that simply use the source material as jumping off points – which for Hamlet includes films ranging from The Lion King (1994) to Bob & Doug McKenzie’s Strange Brew (1983). But Macbeth is the play that has always been my favorite amongst Shakespeare’s most-known works – Titus Andronicus ranks as my favorite least-known work. What can I say? I like them bloody. So of those 30+ adaptations of Macbeth I’ve seen a handful. I know of six at least, off the top of my head, including Orson Welles’, Roman Polanski’s, Kurosawa‘s, along with the brilliant Patrick Stewart Great Performances adaptation from 2010, the enchanting Scotland, PA (2001) and the atrocious Men of Respect (1991). There may be more I’m forgetting. Regardless, though, I love this play. I love the history of it, the mythology of it, even the superstitions surrounding the performances of it. So when I saw the trailers promoting Michael Fassbender‘s interpretation of the role, I was intrigued. Fassbender is one of the strongest actors of his generation and he always brings something special to whatever role he’s playing – even if that’s a mutilated ex-Nazi mad scientist in Blood Creek (2009). Marion Cotillard I was less familiar with having made little impression in The Dark Knight Rises (2012). Hell, I’d forgotten she was even in Inception (2010). Director Justin Kurzel was another surprise element. I’ve heard a lot of good things about his first film, The Snowtown Murders (2011), but haven’t gotten around to checking it out myself. That he’s directing the upcoming videogame adaptation Assassin’s Creed was news that left me unmoved. Not being a gamer, I’m not sure whether that’s something I should be excited about or not. There’s a healthy dose of Kurosawa’s use of fog, Polanski’s costuming and set design, along with an interesting if disquieting use of Matrix/300-style slow-mo battle scenes. The real star of the film, as you get a glimpse of from the trailer, is cinematographer Adam Arkapaw – who was also the director of photography for the first seasons of Top of the Lake and True Detective, so you know Macbeth is gorgeously shot. My concerns began developing, though, when I learned that there were three screenwriters credited to the film. Multiple writers isn’t necessarily an issue for a film, but when it comes to Shakespearean adaptations, the best ones are usually limited to one or two credited screenwriters (in addition to Shakespeare, of course) – with one of those credits usually claimed by the director. That singularity of vision is almost always necessary to create an adaptation that not only captures the essence of the source material but establishes an intimacy on the director’s part. One does not adapt Shakespeare on a whim or as a job-for-hire. And this is the first place where Kurzel’s Macbeth falls short for me. The beauty of the cinematography is simply breathtaking. Scotland looks amazing. The long, lingering establishing shots can’t be beat. But then when we move into the action the direction takes a backseat for most of the film, relying on the set design, make-up, and costuming to tell the tale. The slow motion battle scenes are cliché and the occasional sped up film sequence is comical (luckily this only happens once or twice). The best directorial decisions are when the camera is left alone to focus on the performances. The performances, though, also leave something to be desired and I suspect that this is the director’s hand at work as well. 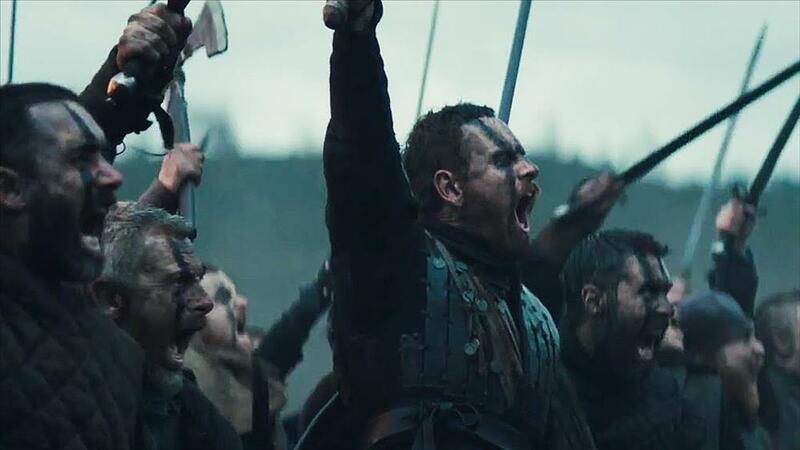 By approaching Macbeth as a character suffering from PTSD, as Fassbender and Kurzel have made plain in interviews, they are missing one of the central elements that make the character Macbeth. As he’s already broken by war when the film begins, it’s extremely difficult to justify the emotional and intellectual decisions that the character makes. Macbeth is a tragedy about a good man who succumbs to vanity and ambition. He begins as a hero and turns into a tyrant. The emotional arc of the character is flatlined in Fassbender’s performance, representing PTSD as a thousand-mile stare and delivering most of his monologues in a monotone that captures the idea of a broken man, but misses the tragedy of the material. For example, after being told that he will be king, his good friend Banquo (played by the always engaging Paddy Considine) remarks, “Good sir, why do you start, and seem to fear / Things that do sound so fair?” But Fassbender’s Macbeth has barely batted an eye at the news from the witches. There was no start. There was no fear. Just a blank coldness that didn’t play to the actual material. Which is a shame, because in the final few scenes he allows his emotions out and nails a bleary-eyed madness that is genuinely off-putting. It was the needed energy that most of the production is sorely lacking. 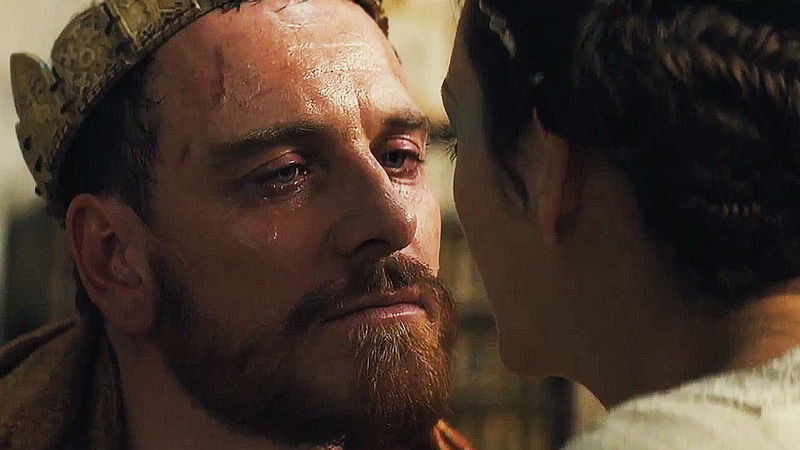 Ultimately, Fassbender squanders his opportunities with Macbeth until the very end of the production. Marion Cotillard, however, doesn’t waste anything, leaving every emotion and conflict both internal and external on the screen. There’s a bit of dissonance in her performance compared to other Lady Macbeths, where she isn’t given the spotlight that she should (thanks to the PTSD interpretation) but she has been given a backstory lacking from every other interpretation I’m familiar with. The film doesn’t open with the Weird Sisters as the play does, instead allowing us to watch silently as the Macbeths lay their son to rest. This missing element actually adds a depth to the characters that helps to motivate their grab for power, influencing Macbeth’s speech about being childless (“Upon my head placed this fruitless crown” Act 3, Scene 1) – which is usually played as a soliloquy but is here directed directly, accusatorily, at Lady Macbeth – despite having had a son. It lends some power to the scene that is missing from most of their other interactions, but seems to go for the easy emotion rather than address the complexity of the narrative the film has already established. So where does this version of Macbeth rank against the others I’ve seen? Well, it’s not horrible, but it’s not anywhere near the best. It has a modern feel that should appeal to most audiences, but it at times lacks an understanding the material, subverting the text for a misguided approach to the characters. 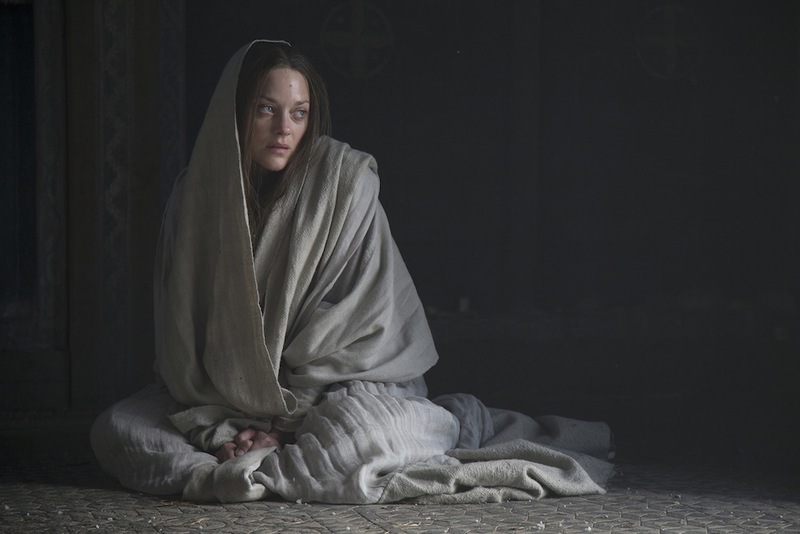 I loved the handling of Lady Macbeth when she was allowed into the story, and the film featured the most ingenious interpretation of Burnam Wood approaching Macbeth’s castle that I’ve seen, which leads to a very stylish final showdown between Macbeth and Macduff (Sean Harris). And speaking of Macduff, Harris and the rest of the supporting cast do fine work, they’re just not the focus of the film. And for those ladies and gents who might be interested, there’s one long, lingering shot of shirtless Michael Fassbender rising up from a chilly Scottish pond, his package emphasized by his wet, cotton (?) breaches.